BT Automart - great template for joomla 2.5 automotive subjects from web developers BonusThemes. Design pattern is light gray tones, which gives it a strict and stylish appearance. Has built-in support for K2 component that allows you to easily manage the site materials. Pattern is well optimized and displayed perfectly on all browsers. 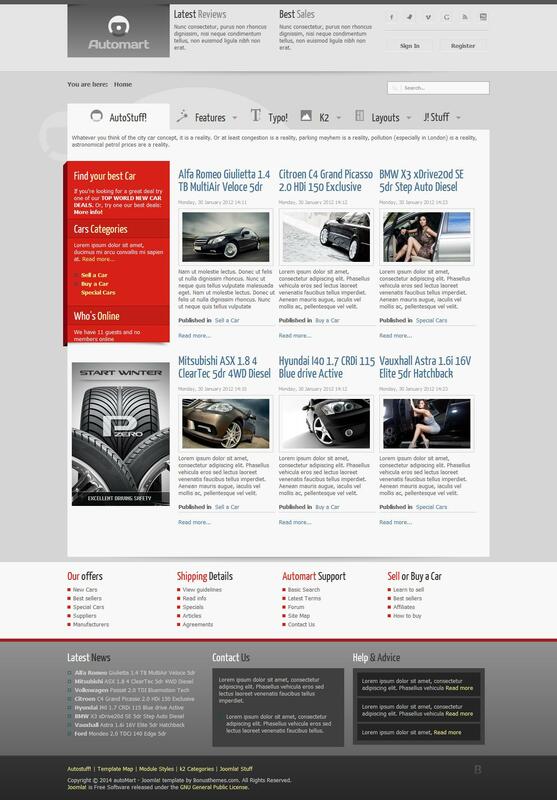 BT AutoMart template is ideal for creating a website directory cars as well as any other topics.